A rather gigantic Kingdom Come Deliverance patch is available now in all regions, and its developer has now explained why the day-one update weighs in this large. Out due tomorrow for PC, PlayStation 4, and Xbox One, those playing the retail version will be forced to download a 23GB update – basically the size of the entire game on disc. As expected, many haven’t been too excited with this decision from developer Warhose, and executive producer Martin Klima decided to provide some reasoning behind this rather large day-one patch. Marketing manager at Deep Silver, Will Powers, later provided some additional details about the update, and according to Powers, the update basically replaces all of the existing files. “So, let me stop the rumor mill dead in its tracks before everyone continues jumping to conclusions. The way that I’ve been told that the engine works, is it takes the entire game and separates the PKG or ISO into 2GB archives. If during a patch you so much as alter a 1KB text file within any of these 2GB archives, then you need to reupload the ENTIRE 2GB portion. That beings said, this is a major patch that improves overarching mechanics throughout the game, so it touches almost all of these 2GB archives in the entire game build. Essentially you are having to redownload the game to replace the existing files. It shouldn’t stack them and inflate on your harddrive, but rather replace the previously downloaded build files. With 23gb day-one updates clocking in on our system, it might be a good idea to go digital after all. 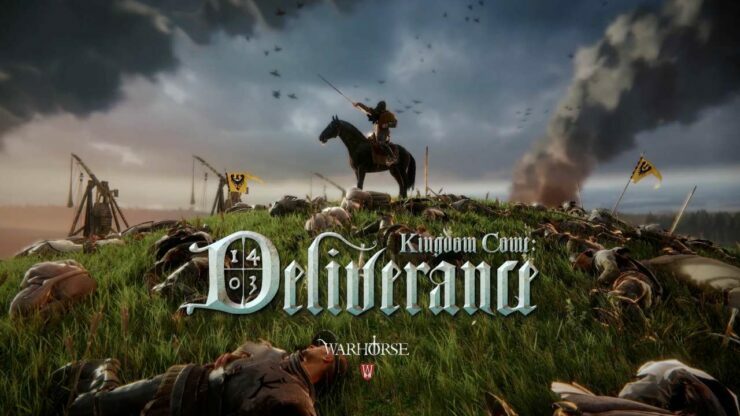 Kingdom Come Deliverance is slated for a release on PC and consoles tomorrow. You’ll find our very own preview of the game right here. As covered earlier, the game will be receiving a Game of Thrones Total conversion mod once it releases.